The Stormforce 9.1 by necessity is a deep V hull form, which is one of the reasons that this RIB has such fantastic abilities in rough offshore conditions and the Deep-V hull is combined with sprayrails to produce additional lift and improve the hydrodynamics of the hull. The tube is designed to sit firmly in contact with the water surface while at rest, ensuring that the RIB has maximum stability. One of the major safety features designs of the 12 is the Hard Nose, and, after many years in testing, it has proven itself to be one of the most successful features on this design. The nose offers complete protection from detubing, which can occur when driving hard in large sea states. Additionally, there are two independent tubes on each side of the hull, offering even greater safety. The other features of the hard nose are mainly a practicality need. The GRP nose offers a much more suitable platform to anchor or moor, without damaging the tubes. It also offers much more internal space; this was incorporated into a large dry storage locker, and in most models facilitates twin berths. This RIB is ideal with either single or twin diesel sterndrives, which offer a good turn of speed with excellent fuel efficiency. 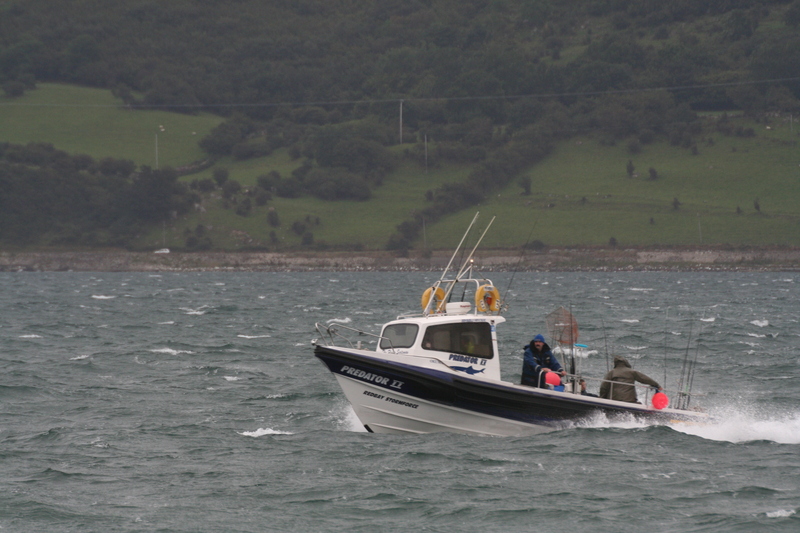 The RIB can also be fitted with twin outboards or waterjets/inboards. 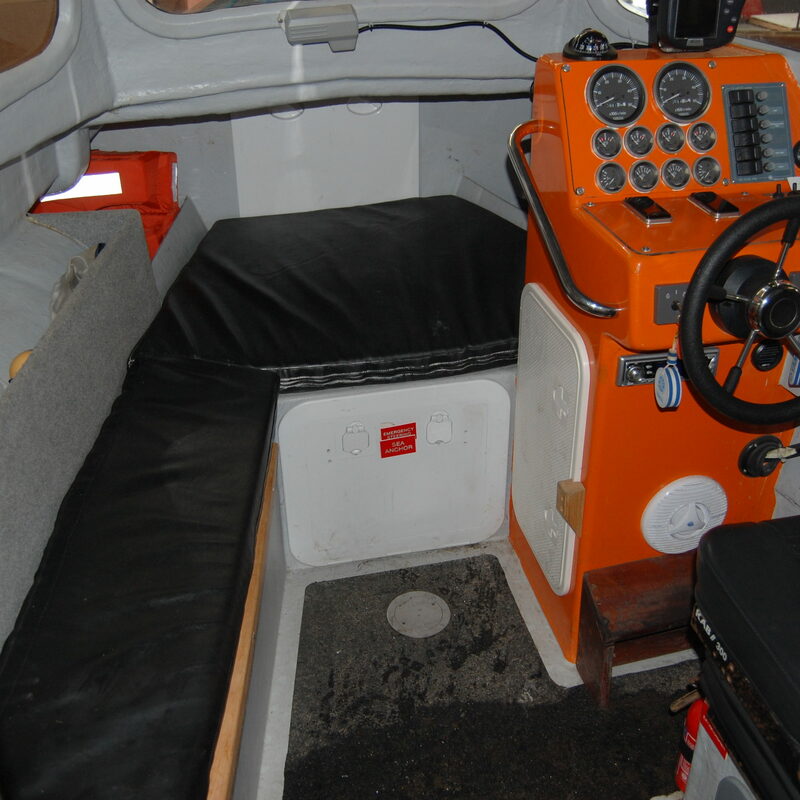 The 9.1 is available in the standard layouts and as an offshore cruiser, the RIB is normally built with the Wrap Around Console, complete with Canopy. This is a very practical and seaworthy design, offering plenty of dry storage and protection to the crew. Another popular version is the forward cabin layout, this is ideal for smaller crews who wish to utilise the full of the deck space on such a hull. The Stormforce 9.1 was designed and developed inhouse to meet the needs of our customers who required bigger and safer RIBs. The main instigator of the 9.1 design was our longstanding customer, Julian Cooke, who had worked his way up through the range of smaller Ribs. 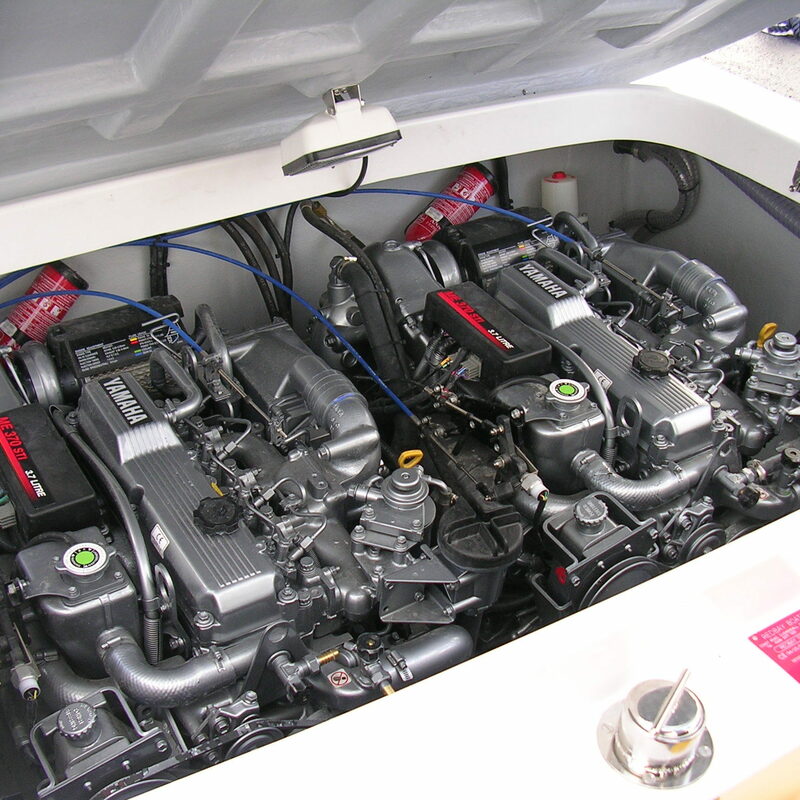 Julian originally bought a 6.1 Redbay fitted with a 100hp Suzuki which he used for a season before moving onto a twin outboard 6.1. Next move was to a 7.4 fitted with a single Mercruiser 180 diesel engine and with the Scottish Islands on our doorstep, Julian began discovering the delight of many of these Islands. With longer weekend trips and the need for more reliability, we began discussing a twin inboard engined RIB. 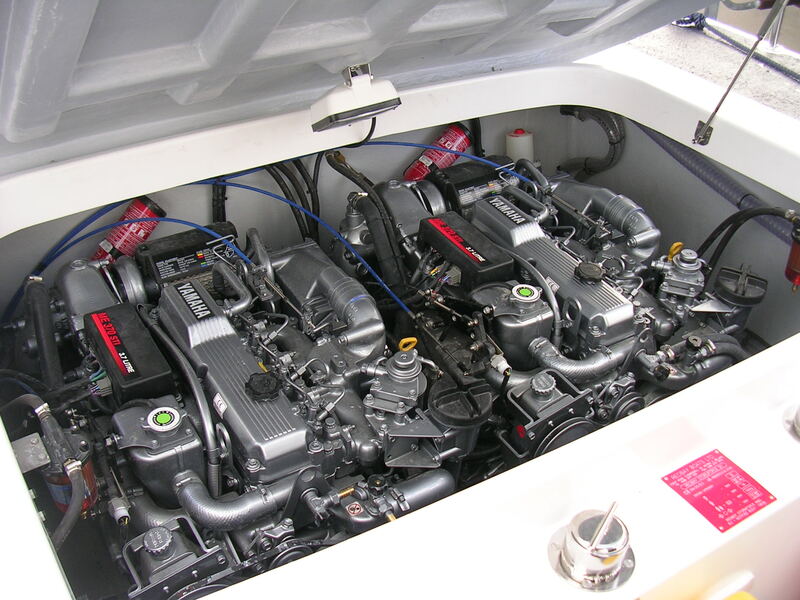 For improved reliability and safety, one of the main design criteria of the new RIB was that it must have twin engines. All Julian’s cruising experience and recommendations were recorded and a new design was built around these. We decided on a hard nose boat with safety at the top of the list. 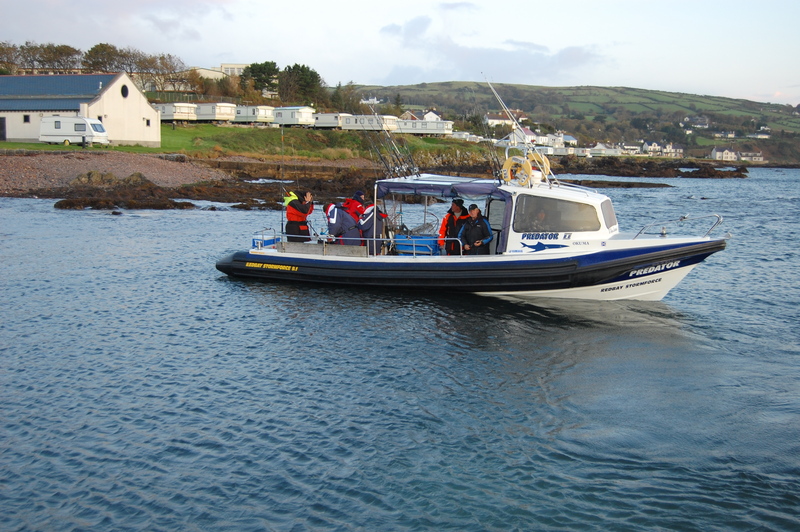 Then the boat had to have twin diesel engines (capable of 15-20 knots on one engine), independent electrical and fuel system, large storage areas and a well protected seating area etc. From our cruising experiences, we recognised that the bow of the RIB was only used to strap down luggage and as an anchor locker/platform and that mooring or anchoring is often difficult with a conventional high bow. Furthermore, a diesel RIB driving its weight into a bad following sea would run the risk of detubing if stuffed into the back of a wave. Our hard nose overcomes all these problems and provides a mounting area for three cleats and bow roller, anchor and anchor winch. The hard nose is entered through a fibre glass door and inside it houses an anchor locker, space for an inflatable tender and masses of dry storage. The last and most important feature of the highly flared nose is that it gives total protection to the tubes, and in the event of a big sea, the buoyancy provided by the flare pushes the bow up immediately. Julian’s boat was almost a year in the planning and development but it was worth the wait! 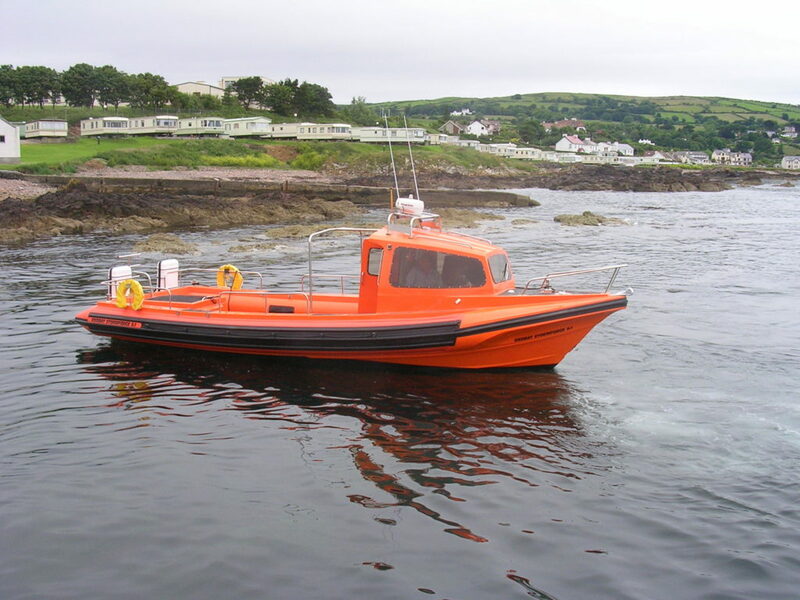 Shortly after the 9.1 entered production, Puffin Dive Centre in Scotland approached Redbay with the need for a longer version of the 9.1. Subsequently, we lengthened the mould, with the intention of returning it to the original length after the two Ribs were built for Puffin. However, the mould was never shortened, and the 11 metre has proven to be one of the main success stories of Redbay Boats. For full options please don’t hesitate to contact us.